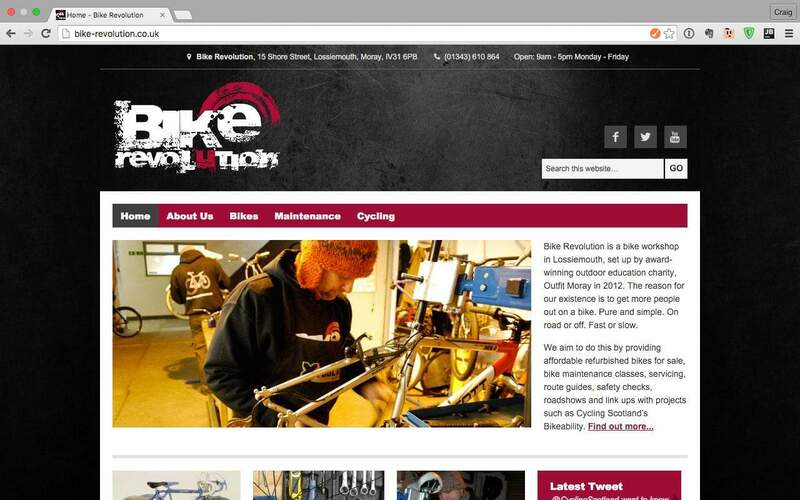 While working as part of the team at Canary Dwarf, I was tasked with creating a new website for local organisation Bike Revolution, who provide training on bicycle maintenance, and sell refurbished bicycles. Working from wireframes provided by the client, I created mockups in Photoshop and converted these into a custom WordPress theme, built on the rock-solid Genesis Framework. The client had an existing logo, and defined colour palette. Their comprehensive wireframes made the build process very straightforward, coming in at less than a week from approval of my mockup graphics to finished WordPress theme. Easy to manage galleries, where client can add further bicycles and their price. WooCommerce integration allowing Bike Revolution to sell tickets for their courses. Dynamic sub page menus which appear and show sub pages based on your location within the site. This was a very enjoyable project, with the build process going very smoothly from start to finish, and the end result speaks for itself. An attractive, effective website, which works just as well on mobile, tablet or desktop device.